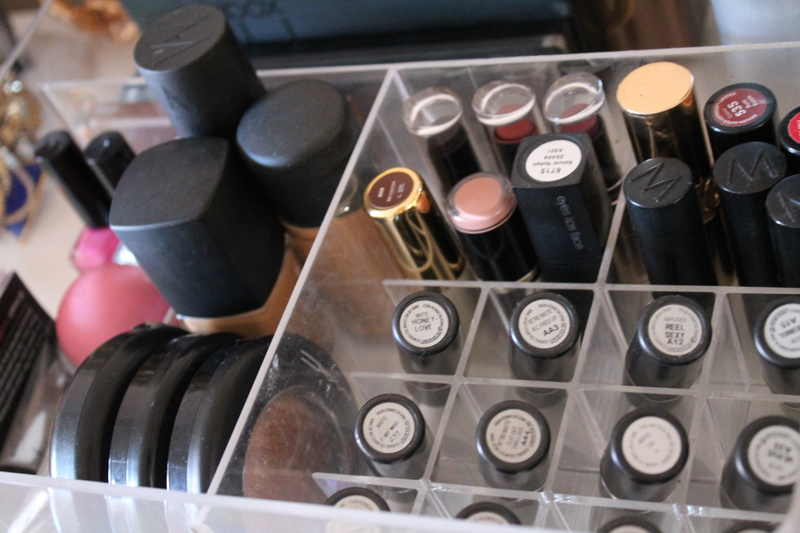 I have previously showed you my GODMORGON box (see blog post here) from IKEA that has 10 compartments and is a perfect organizer for makeup. In this box I store my favourite makeup products that I reach for the most as well as some essential makeup items like my eyelash curler and lash adhesive etc. 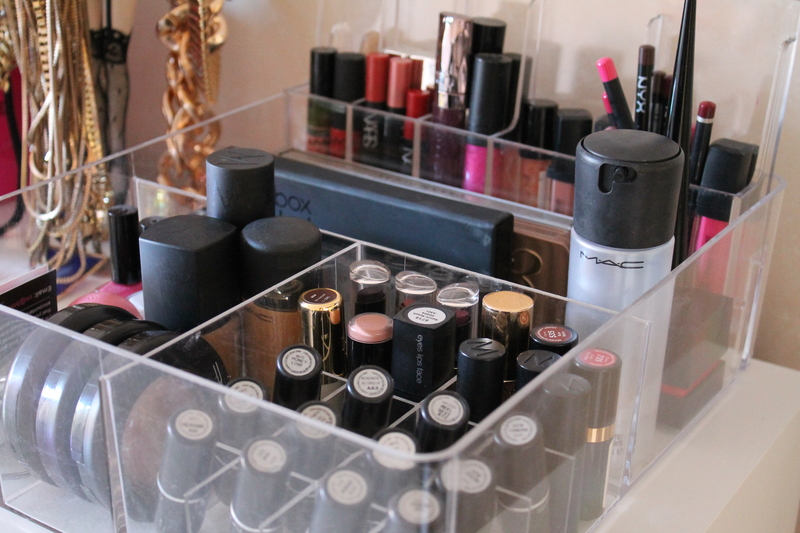 In the 12 piece compartment I like to store my favourite lipsticks at the moment that change depending on the season. 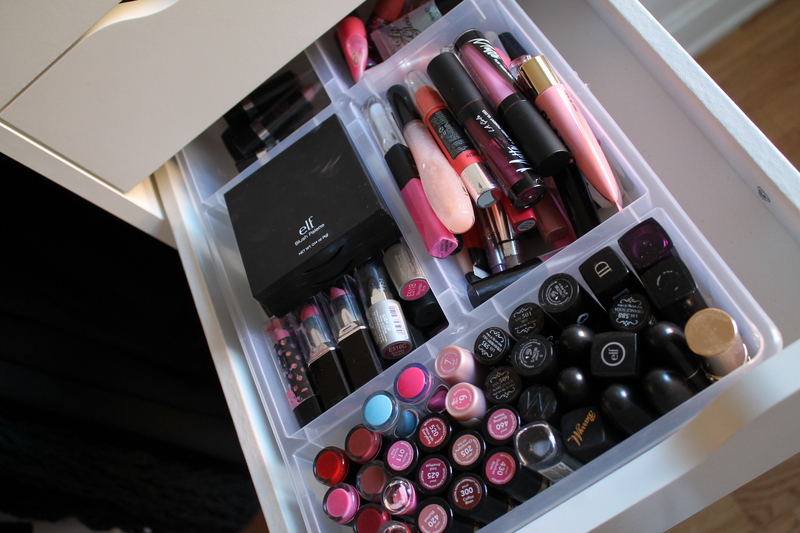 At the moment I mainly have dark and autumn lippies in that compartment. 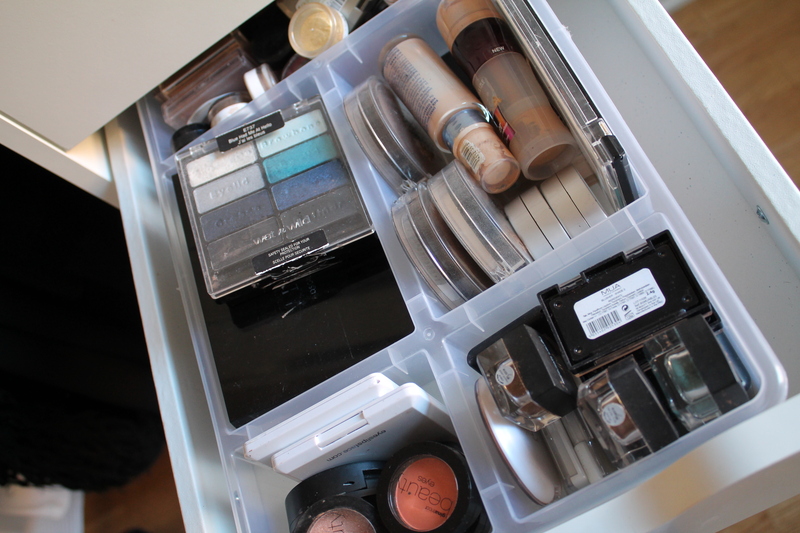 From IKEA I use the white ALEX Drawer Unit with 9 drawers to store the rest of my makeup. 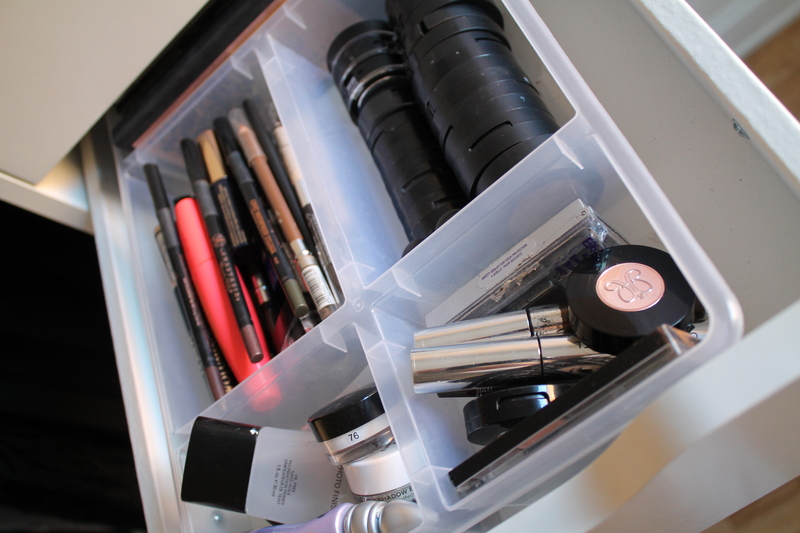 I find this drawer to be the perfect size for storing makeup and beauty products .At the top of the drawer I keep my favourite perfumes and my Morphe Brush set with some of my favourite face and eye brushes. I also store my bigger eyeshadow palettes in a plastic napkin holder from IKEA. 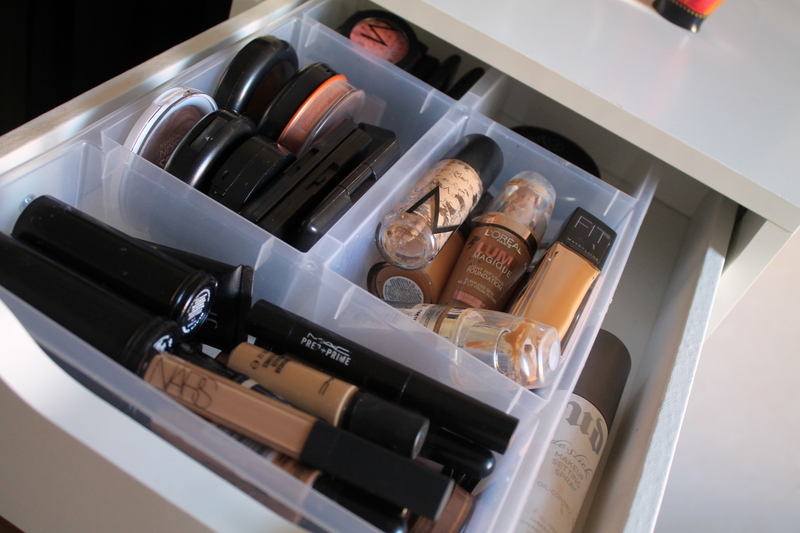 In each drawer I’ve placed transparent drawers with five compartments, to protect the wooden drawer from makeup stains. Foundations, Concealers, Face Powders & Higlighters etc. i recently got the 9 drawer and find its amazing! My makeup thanks me for it haha ! I use this one http://www.ikea.com/gb/en/catalog/products/40216357/ for make up; then I’ve another plastic holder in the bathroom, with the things which I use more often. For the brushes I use a cylinder-shaped holder home made by my mum; she covered two holders with passementerie and now I use one of them for the eye pencils and the other one for some brushes. 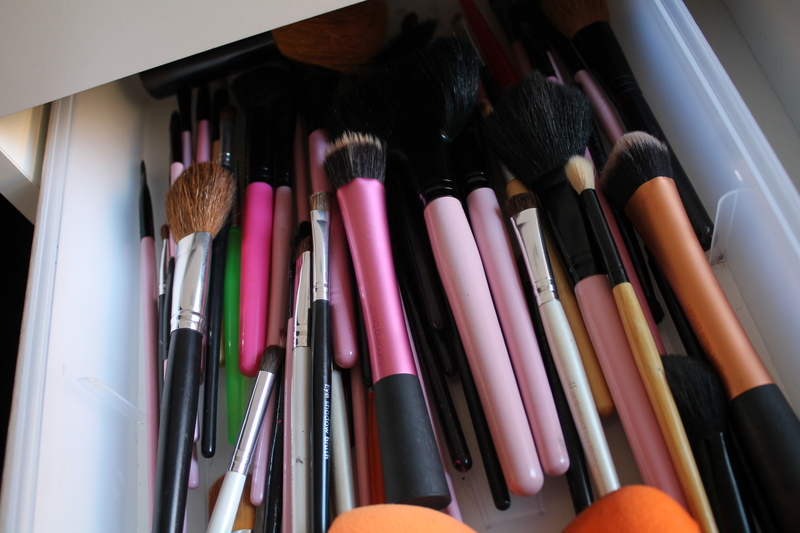 All other brushes are in a box…do you know those beauty boxes you receive every month? Once I subscribed to a beauty box program and I use these boxes for storing brushes and new products, maybe something I bought because it was on offer but I have to finish something else before. Next time I go to Ikea I’d like to have a look at this one: http://www.ikea.com/it/it/catalog/products/20186101/ because I think it can be more useful for brushes. My holder are not too high, so I have to put a lot of brushes inside otherwise it’s not stable because almost all the brushes are quite long. So envious! 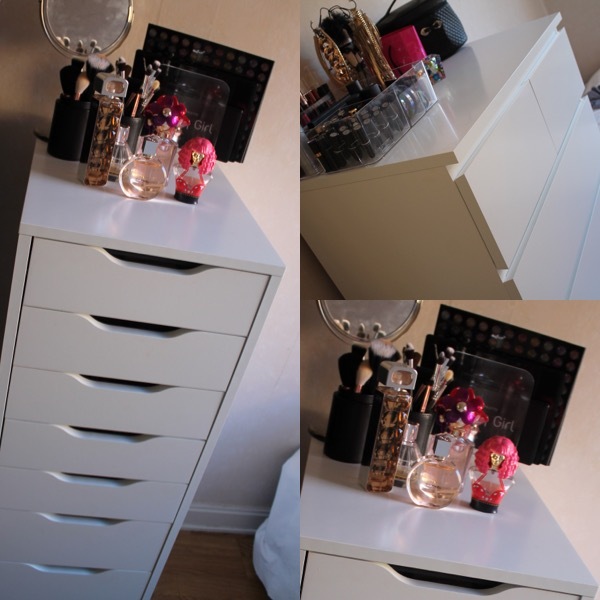 And can’t be Scandinavian without having some Ikea storage 😉 I’ve been wanting those Alex drawers, they just seem so perfect for storing makeup! I love how organized this is! All my make-up is thrown inside a make-up bag. I love this post. I don’t have a great system for storing my makeup and it’s piling up. 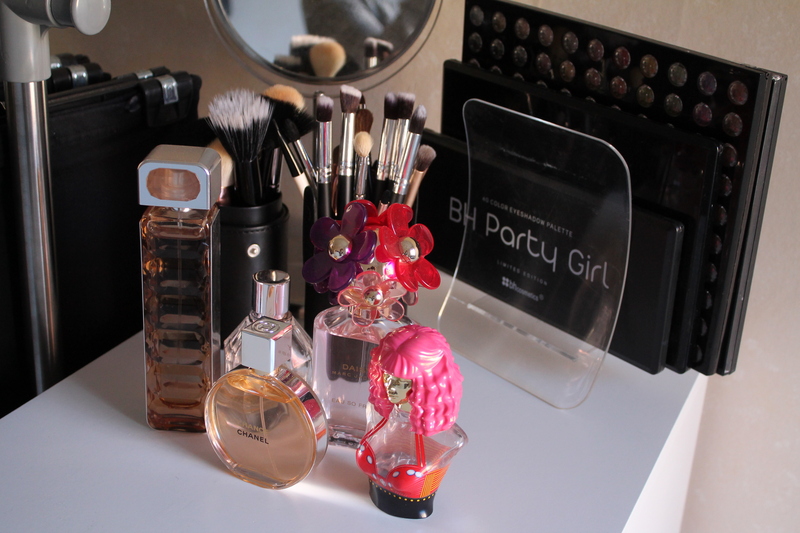 I’m definitely going to use this post as inspiration to sort out my makeup! I also use the Alex 9 drawer! I love it! I wonder if IKEA knew people would use it for beauty stuff this much, ha-ha, because I see a lot of makeup gurus use them too. This is awesome. Great ideas, thanks for sharing!